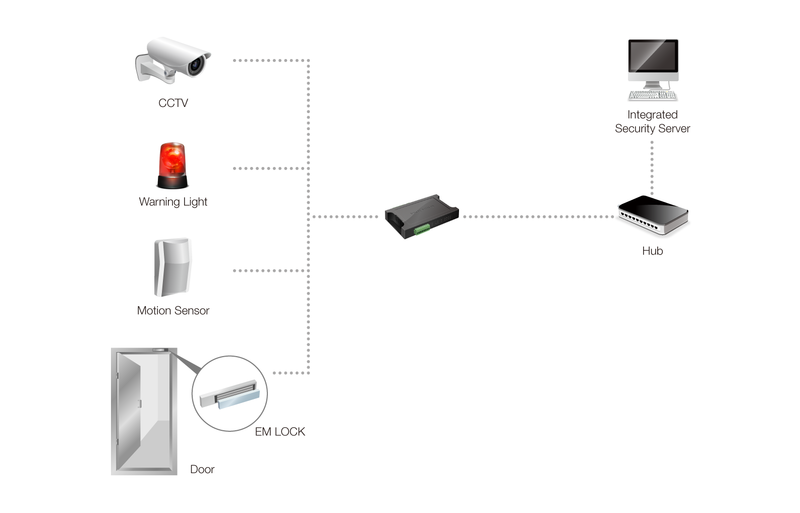 Connecting Sollae Systems’ remote I/O controller with security camera’s power supply is an easy way to control and manage from distance. In many cases, controlling power can be an ideal solution to a problem in running a system with a security camera because physical access to control the power of the camera has many limitations. With our remote I/O controller, however, you can shorten the response time and reduce maintenance fee as well as personnel expenses.